Nazareth House overlooks breath-taking views of the Inishowen Peninsula. We have been here since 1981, where it has been and continues to be, our privilege to enable you to live life to the full. 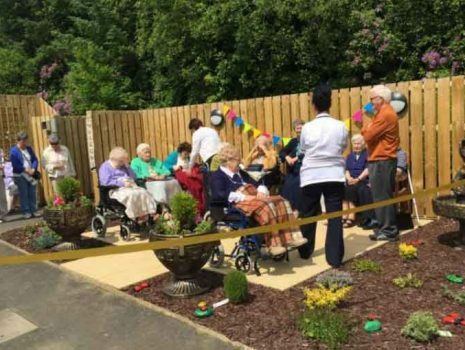 The rain held off for the opening of the Sensory Garden in Fahan. The Sister’s prayers were heard. It was a lovely afternoon with over 80 visitors - and our residents really enjoyed a full afternoon of entertainment. Sr Philomena (Sister of Mercy) who is our eldest resident cut the ribbon. 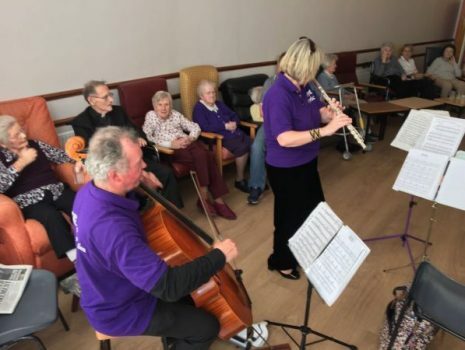 Staff and residents of Nazareth House Fahan were delighted to welcome RTÉ Lyric FM Quartet for an engaging and entertaining performance.